While there are plenty of advice on how to clean up your home and property yourself, bringing in a professional is often the best plan. Experts will know the best ways to get your home back to its pre-fire condition; they can lessen frustrations and wasted time. Since the best contractors are highly sought after, it can be difficult to get on their schedules. When you need a home restorer after a disaster, it’s tempting hire the earliest available. Resist falling into that trap. Disasters are stressful enough, but a contractor who’s under-qualified could make matters even worse. The person you hire will have a lasting impact on your home. You need someone with the right kind of expertise — the kind that matches exactly what you need for your home restoration project. Here’s how to choose the right contractor for the job, even when you’re feeling burdened, overwhelmed, and pressed for time. Vet their skills and experience, particularly experience in managing insurance-related claims. Make sure they’re licensed, both in your local municipality as well as in their specialty. You can check with your local building authorities to ensure all licensing is up to date. Check their insurance coverage and make sure it’s in full effect. Go beyond getting a copy of the contractor’s insurance paperwork and call his or her insurance provider. Verify worker’s compensation credentials. Again, take the time to confirm that this coverage is in effect — otherwise, you may be responsible if workers are injured while on your property. Contrarily, the builder who built your home isn’t always the best choice for repairs and remodeling. That’s because he or she may only have experience in building new homes. Home restoration requires unique experience, skills, and equipment, and contacts. Restoration work is more involved than you might think; it may require structural repairs, legal permits. engineering, or other highly specialized work. In the case of roof damage, for example, repairs may also involve water damage mitigation or inspections to ensure that hidden water damage is rectified. Merely repairing the hole in the roof isn’t enough to prevent mold and mildew growth if water has already gotten in. If you’ve had a home disaster, a restoration company’s experience with your insurance company becomes invaluable. A contractor with experience in claims processes will be a huge asset during your repair or restoration work. They’ll have a better understanding of how the work gets covered as well as knowledge about the requirements set forth by your insurance provider. Take advantage of a team that can smooth the way for you during this stressful time. Doing your diligence to check references is the best use of your time right now. According to the Coalition Against Insurance Fraud, 50% of homeowners have concerns about hiring a contractor due to poor workmanship, and 36% worry about fraud. The demand for quality roofers, general contractors, and remediation companies is on the rise, leading to imposters and unlicensed companies. Ask for recommendations from people in your community– anyone else who has lived through a fire will offer you valuable advice. ERX Emergency Restoration Experts removes smoke damage from furniture, ceilings, walls, carpets and more. 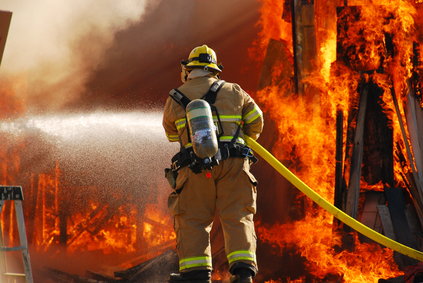 After a large fire, the chemicals from extinguishing the flames can cause even more problems. Your home will need a water damage assessment and a plan against the potential for mold growth. The ERX Emergency Restoration Experts offer this service in the Las Vegas area at (702) 830-9444. The fire recovery process comes with plenty of challenges and frustrations, so be sure you have a strong support system to help you through it. Engage trusted professionals to speed the process and to lessen your stress. You may even discover that the cleanup process helps your family come together; look for silver linings as often as you can. With time, your home will look more like you remember it — perhaps even better! ERX Emergency Restoration Experts is a cleaning and restoration company located in Las Vegas, Nevada. We specialize in water, fire, mold and sewage cleanup and restoration. Emergency Restoration Experts, LLC and Dolphin Properties Inc DBA Emergency Restoration are sister companies working together to take care of all of your restoration needs.